On August 26, 2016 Judge Dana M. Sabraw of the federal district court in San Diego rejected the request of a group of plaintiffs to issue a preliminary injunction putting SB277 – the law that removed the personal belief exemption (PBE) to California’s school immunization requirements – on hold. Judge Sabraw’s decision is carefully reasoned, powerful, upholds existing caselaw and protects children. While plaintiffs are likely to appeal, this denial of the SB277 preliminary injunction will be hard to overturn. The practical meaning of the decision is that SB277 remains in force while the case is being litigated, and unvaccinated children who are starting kindergarten or seventh grade may not attend public or private schools unless they have a medical exemption or, in some cases, an individualized education plan, or IEP. There are four elements to the question of whether to grant a preliminary injunction: whether the plaintiffs are likely to succeed, whether plaintiffs would suffer irreparable harm without an injunction, whether the balance of equities supports the plaintiffs – the harm to plaintiff is more than the harm, in this case, to the state from giving the injunction, and whether an injunction is in the public interest. The bar is high: a preliminary injunction is an unusual remedy. The judge focused almost completely on whether the plaintiffs are likely to succeed, and found they are not, which does not bode well for their final case. He did make one comment about their harm. If there is a place the decision could have been made stronger, it is by going deeper into the other elements. Specifically, discussing the public interest element would have bolstered the decision, since there is a clear public interest in letting a measure designed to prevent disease take effect. But the decision already has the argument that preventing disease is a compelling state interest, by implication, making this case. Judge’s Sabraw devotes a large part of his decision – correctly – to examining existing caselaw. The judge points out that courts in the United States – at the state and federal level, including California’s Supreme Court in Abeel v. Clark, 84 Cal. 226 (1890), consistently upheld mandatory vaccination laws because they allow the state to protect the community and its children from outbreaks of dangerous, potentially fatal diseases. 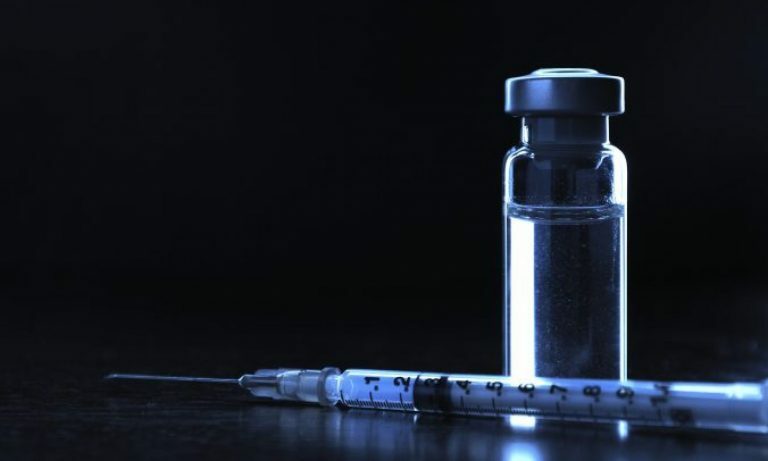 The judge rejected the distinction the plaintiffs tried to draw between the state’s authority to compel vaccination and the state’s decision, in this case, to remove an existing PBE. He explained that the constitution does not require either a religious exemption or a PBE. The plaintiffs claimed that SB277 violates their right to freedom of religion, protected by the first amendment. The judge points out that other courts – the 2nd circuit in Phillips v. New York, the 4th circuit in Mingo v. Board of Education, and the California Supreme Court in Abeel – all upheld immunization requirements in the face of such challenges, as did Prince. He rejected the plaintiffs’ efforts to distinguish these cases. Similarly, the Judge rejected the claim that the law requires a state that gives a secular exemption to provide a religious exemption as well, pointing out that that is not an accepted interpretation of the case the plaintiffs tried to rely on. The judge also rejected the plaintiffs’ claims that SB277 violates equal protection because it treats their children differently than children who are vaccinated, children with IEPs, and children who are not at the checkpoints of kindergarten or seventh grade. The judge had two arguments for rejecting the equal protection claim. First, he pointed out that children who are vaccinated, or who have IEP, are meaningfully different from the plaintiffs’ children. Not every classification is discrimination; it’s only discrimination if the law treats like cases differently, and these cases, said the judge, are not alike (I made the same argument here). Furthermore, these are not suspect classifications. When laws distinguish based on suspect classifications – distinctions that historically were the result of discrimination, like race, religion etc’ – we approach such distinctions carefully, and apply a standard of strict scrutiny, which requires the state to show that there is a compelling interest behind the distinction, and the law is narrowly tailored to achieve it. That’s not the case here. These are not suspect categories, and therefore, all the state has to show is that there is a rational basis to distinguish. “The “checkpoints” provisions provide a grace period for children with PBEs to remain in their grade span while their parents comply with the new law. Rather than drawing legislation that would have immediately impacted all children with PBEs (approximately 200,000, according to Plaintiffs), the legislation has a more limited effect by initially focusing only on those children with PBEs who are advancing to the next grade level (approximately 33,000, according to Plaintiffs). The plaintiffs’ due process requirements are foreclosed by the Supreme Court’s decision in Zucht v. King, 260 U.S. 23 174 (1922) that rejected such a challenge. …society has a compelling interest in fighting the spread of contagious diseases through mandatory vaccination of school-aged children. All courts, state and federal, have so held either explicitly or implicitly for over a century. The state does not have to wait for an epidemic to prevent one. It can act to protect the public health from dangerous disease when it sees a need – and such protection serves a compelling interest. Therefore, the state can require vaccination before school without any non-medical exemption. The right to education is not absolute, and can be limited with vaccination requirements that protect the community and its children. Finally, the Judge concluded that plaintiffs could have brought suit earlier, knowing that PBEs will no longer be allowed from January 1, 2016. They failed to do so. That delay counts against them in consider if to issue a preliminary injunction. The judge ends with a strong conclusion emphasizing that courts have repeatedly held that states may compel vaccination to protect the community. Judge Sabraw’s decision is well grounded in case law, provides resounding answers to the plaintiffs claim, and is legally very, very sound. It also protects children and the public health by allowing SB277 to go into force, making schools safer from outbreaks, while the law is debated in courts.